Whenever I mention quinoa to my friends, they always give me this sultry look… like “qui what?” QUINOA I repeat with so much angst you could literally feel the lump build in my throat. So what is the point of this you ask? Well, I want to establish the fact that not everyone knows what quinoa is including celiac! YES, they have no idea of this miraculous plant-based protein which is gluten-free, organic and very healthy! – This is a rare gem for the celiac. Quinoa contains a lot of minerals and vitamins and doubles as a safe substitute to troublesome pastas, pastries and gluten in general. Oh, and one more thing – Quinoa is not just gluten-free but also tastes like heaven! Here are some ways you could replace the gluten-based meals with the impeccable and ambrosial quinoa. The first thing you want to do when you get a hold of quinoa is to wash /rinse the quinoa thoroughly. Yes I know the quinoa on the shelves of the supermarket is SUPER clean because the bitter coating has been removed BUT you can never be too sure can you? 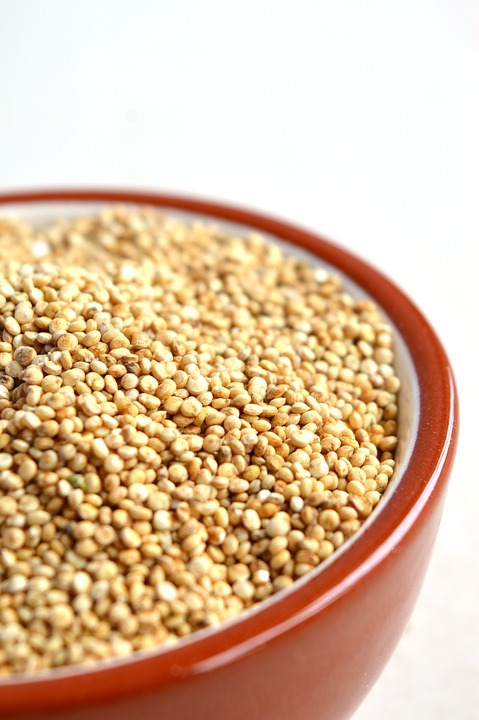 However, if the quinoa hasn’t been alleviated from its coating, you can easily remove it by putting the quinoa in a bowl followed by some warm water… allow to soak for some minutes before washing off the shafts. You can now go ahead and prepare the quinoa just as rice is prepared. How Exactly Can I Substitute Rice and Pastas With Quinoa?